Spine specialist, Dr. Hilary Murray shares a story of a skeptical Harley rider that finally gets relief of his neck and shoulder pain. Dr. Murray was born and raised in Clinton, New Jersey. Hilary went to North Hunterdon High School and excelled in soccer, basketball, and softball. She helped her team win the NJ Group 4 State softball championship in 2006. After graduating high school in 2008, she completed her undergraduate degree at Moravian College. She was a four-year starter on the Moravian College Women’s Basketball team and graduated with a Bachelor of Arts degree in 2012. Dr. Hilary is excited to be in her hometown of Clinton, New Jersey and joining the family practice. 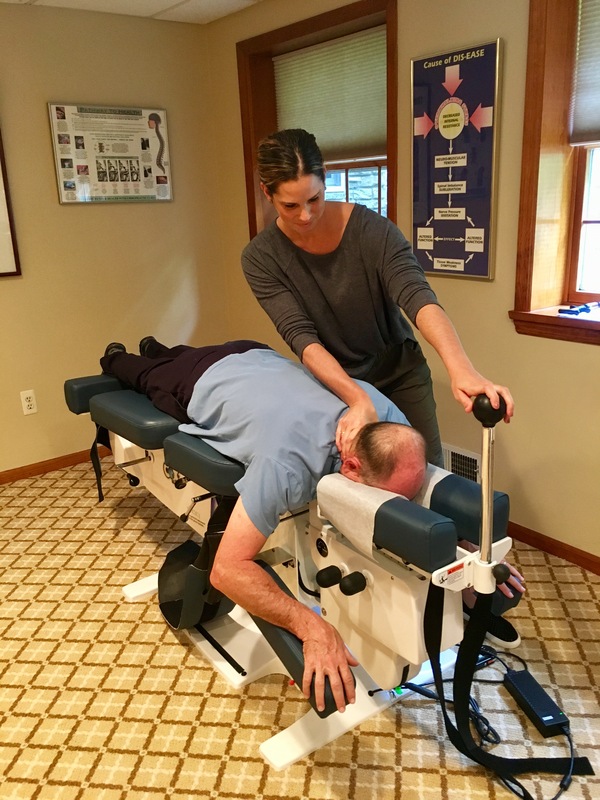 She utilizes full spine chiropractic techniques such as Sacro Occipital Technique, Thompson, Activator, Gonstead, as well as specific Blair upper cervical care. She is also certified in Cox Technic for the cervical and lumbar spine. In Dr. Hilary’s free time she loves to hike, surf, play/ watch all sports, and being with her family. Spine specialist, Dr. Hilary Murray shares a story of a skeptical Harley rider who finally gets relief of his neck pain. She followed in her fatherâ€™s footsteps to become a chiropractor. She received her doctorate of chiropractic degree from the prestigious Palmer College of Chiropractic.Â She is certified in CoxÂ® Technic Flexion Distraction Manipulation for the cervical and lumbar spine. This podcast is real. The results are real. Yes, she’s young but her history shows she has always strived to become outstanding at what she does. I see her becoming an expert in her field. I have no reservations in saying this.